Finely chop spring onion and grate carrot. Place in bowl with turkey mince, egg and 50ml of the plum sauce. 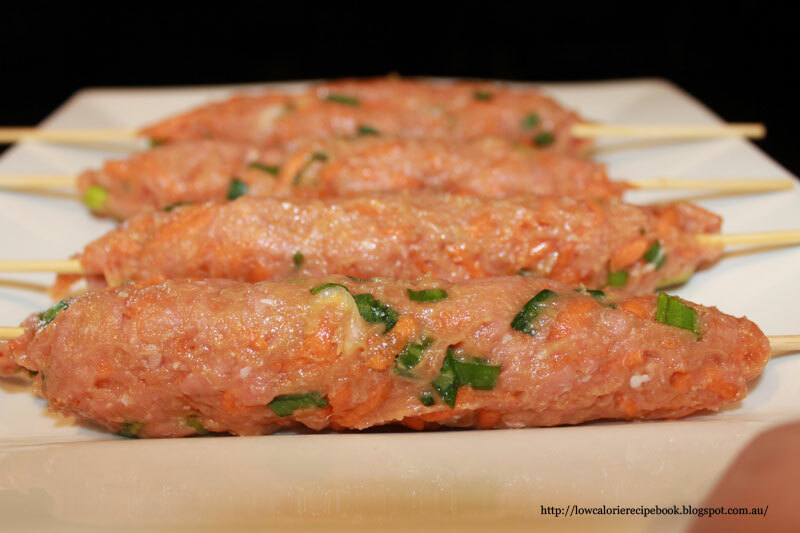 Holding skewer in one hand, mould the portion of mince mixture around each skewer to form a sausage shape. Place on plate and into the fridge to chill until cooking time. Finely chop walnuts and place in small oven/BBQ proof bowl. Heat BBQ and place a non-stick silicone BBQ mat over plate. Place kebabs on mat and cook until brown and cooked through. Place walnut bowl on on BBQ for 10 minutes and remove. While skewers are cooking shred or slice lettuce and place on plates. Slice tomato and arrange on the center of the lettuce. Sprinkle walnuts over tomato and place 2 kebabs on each plate. 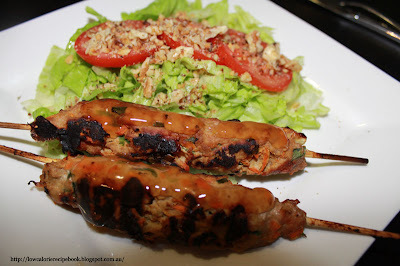 Using the extra 50ml of plum sauce, drizzle over centre tops of kebabs and serve. The carrot in the kebabs take longer to cook than the turkey so you can microwave the grated carrot first (partly cook - not too mushy). This will speed up the cooking time.